A helpful way to run d20Pro if like many of us, you like to work on your laptop to do pre-game work but use your PC at game time. This method will allow you to use a single copy of your campaign files and not need to copy them back and forth. Ensure that you never try to run d20Pro from more than one location at the same time using this method; as very bad things in the way of data corruption could occur! 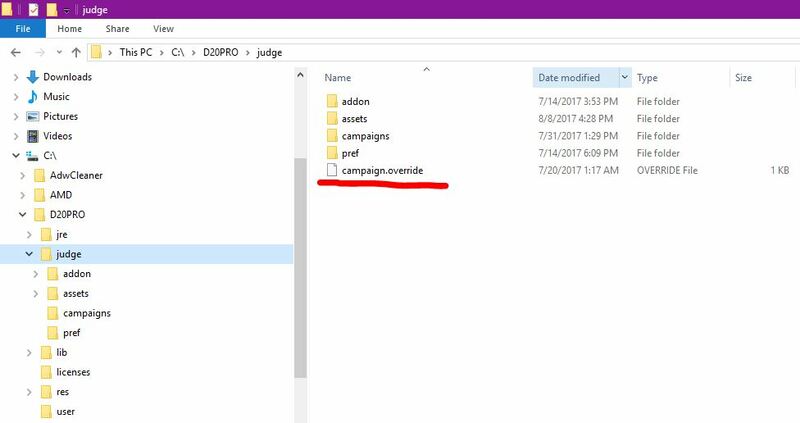 By default all Campaigns are stored in the "d20Pro/judge/campaigns" folder where d20Pro is installed. This location may be overridden by creating the file "d20Pro/judge/campaign.override". This file should contain a single line that sets path where the Campaigns folder will be created. 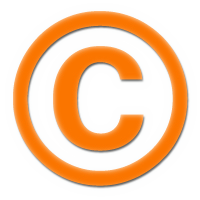 Example "C:\stuff" will cause the Campaigns folder to be created in "C:\stuff\campaigns". You may need to use Network names if the drive or location you want to use is not mapped by your system. Example: "\MyNetworkDrive\stuff" will cause the Campaigns folder to be created in "\MyNetworkDrive\stuff\campaigns". Now open d20Pro and it uses the new campaign directory instead of the one located in /Applications/d20Pro-mac-3.4.8/data/judge/campaigns.